Hi guys/girls. 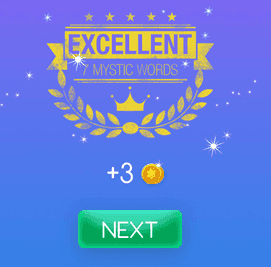 Welcome to Mystic Words Magenta level 10 answers. Remember to look only the answers to the clues you are blocked. There is no fun if you see all the answers before trying to solve them first. Act of departing 5 letters answer, click here! One of the Marx brothers 7 letters answer, click here! Captivated by performers 11 letters answer, click here! To exert an attracting 10 letters answer, click here! To demand money 4 letters answer, click here! Software free of charge 9 letters answer, click here! A pink-orange fruit 5 letters answer, click here!